The Sales Performance tool is a powerful feature which provides you with detailed breakdowns of the music sales generated by artists, releases and songs connected to your account. It is updated every month when we process new sales reports from digital services and make available new money on your balance. How much is music released from my account generating each month? How much is a specific music service generating for me every month? What am i earning from each digital service that my music is available on? What are my top performing tracks, artists and release? How many streams and downloads is my music getting, and how much am i earning from each? What countries and markets do my sales come from? 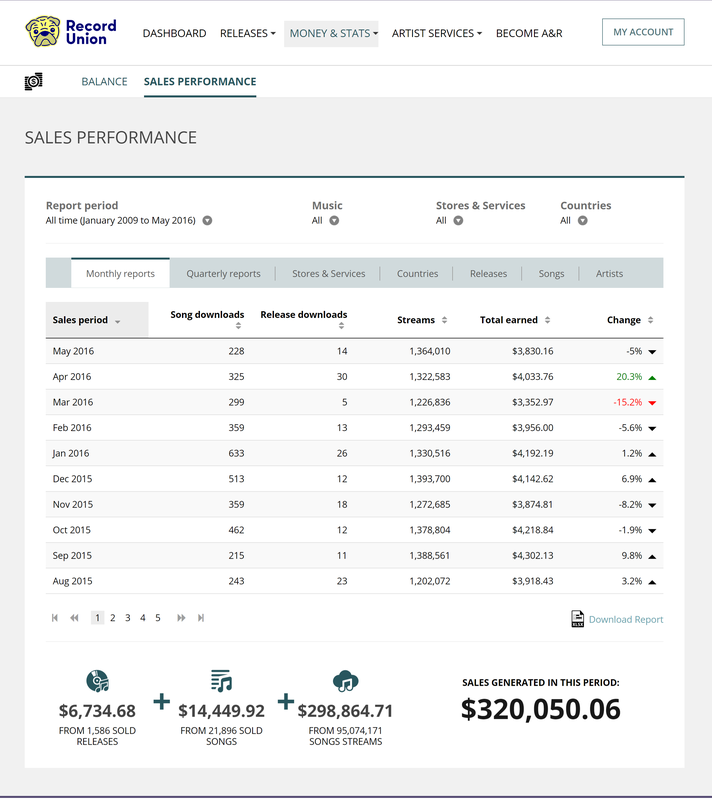 Once logged into your account, click here to access to the sales performance tool. Please note that the tool uses information displays information we get from the different digital services we help distribute your music to. If you have recently released music, it will take some time before you see the sales displayed in the tool. Click here for more info on when sales reports are processed.